Cable from CE Tech connects USB to micro-USB device for recharge and data sync. Compatible with most on-the-go micro-USB devices, such as cellphones and smartphones. 3 ft. cable length with convenient retractable cord. The new Habitat braided charging cable fuses fashion and fierce to keep you fully charged while looking fully lit. With reinforced strain relief and a man of steel-inspired inner Kevlar lining, you'll be hard pressed to tackle this cable for a loss. Unique foldable design provides extra flexibility, portability and durability. Convenient to carry in bag for daily use and for travel.Ear buds retractable cord management. Rubberize surface.Bluetooth 4.1 and fast connection.Compatible with blue tooth enabled device. Use banana plugs to create high-quality speaker wire connections. Simple design takes only seconds to attach to speaker wire. These banana plugs offer gold-plated construction. 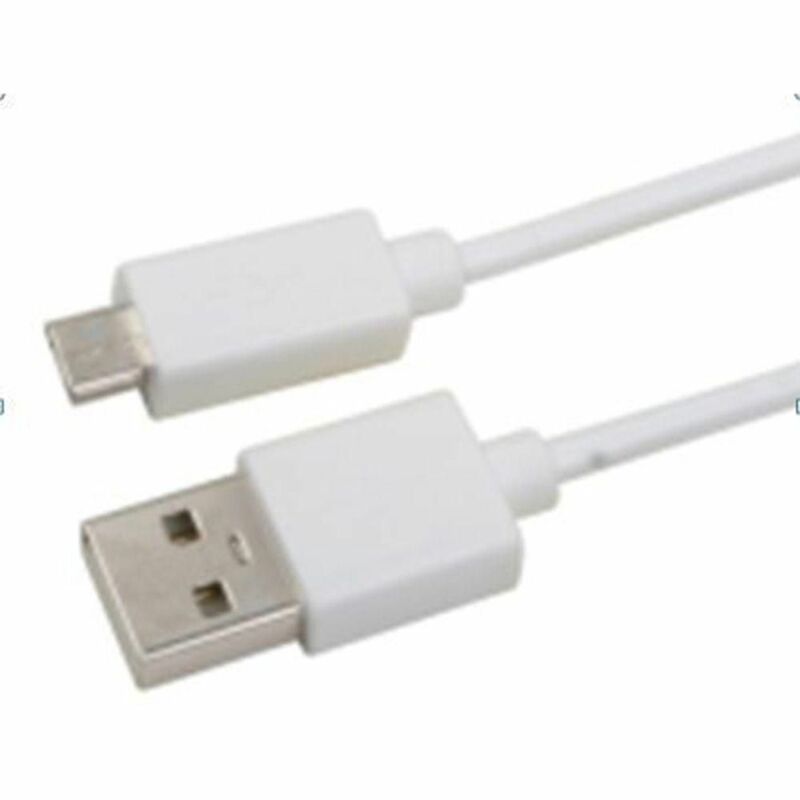 3 ft. Micro USB Cable in White Cable from CE Tech connects USB to micro-USB device for recharge and data sync. Compatible with most on-the-go micro-USB devices, such as cellphones and smartphones. 3 ft. cable length with convenient retractable cord.